We got to bid farewell to an icon that we’ve all come to take for granted this week. 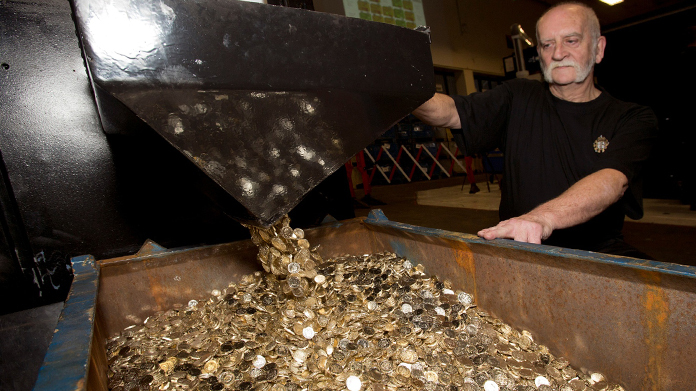 Yep, we announced the moment that the last round pounds rolled off the production lines at The Royal Mint. So to show off the artistry and engineering that has gone into the billions of pound coins that have been produced over the years and to herald the new pound coin design that will enter circulation in 2017, we arranged a media send-off to remember. We secured visits to The Royal Mint in Wales for the major broadcasters and ensured that ITV and the BBC got a complete tour, while at the same time we took Press Association around the Mint to guarantee blanket broadcast and newswire coverage national and regional. At the same time, the team sold in the news on the same time. We landed over 119 pieces of broadcast coverage, while coverage has appeared in every national media outlet, with belting print pieces across the Financial Times, The Times, Daily Telegraph, Metro, Daily Mirror, The Herald, The Scotsman and The Independent and online with The Guardian, Daily Mirror, Daily Express, Independent and hundreds of others, with more still coming through thick and fast.